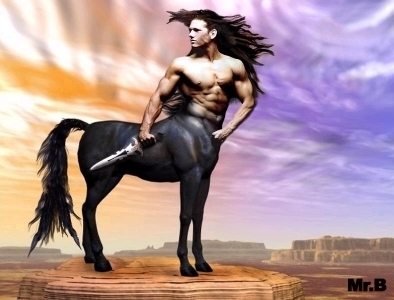 Telemachus' best bud is a centaur in the story. I loved Tracy Barrett's new book, King of Ithaka. It's perfect for those of us who love ancient history, as well as for young teens fascinated by the Greek myths. Tracy is a professor at Vanderbilt University and has published seventeen (17!) books for children and one for adults. She is also the regional adviser for the SCBWI (Society for Children's Book Writers and Illustrators) Midsouth region. ( I KNOW! When does she sleep???). Q: Thanks for visiting, Tracy! First, what inspired you to tell this story from Odysseus's son's perspective? A: Almost five years ago, I picked up the New York Times book review and saw that one of my favorite authors, Margaret Atwood, had written a book called The Penelopiad, about the wife of Odysseus and what she was doing during the long years while her husband was returning from the Trojan War. I immediately thought, "I wonder what their son was doing all that time," and the story was born there. Q: That's what's so great in this story. Telemachus is mostly incidental in The Odyssey, but here, he is realized as a complex young man dealing with a difficult and troubling situation. I loved his development and growth. What did you see as his greatest challenge as a character? A: He thinks that his challenge is to force himself onto a boat and go out on the open ocean, which terrifies him, and look for his father with only the barest and most ambiguous of instructions about how to do this. 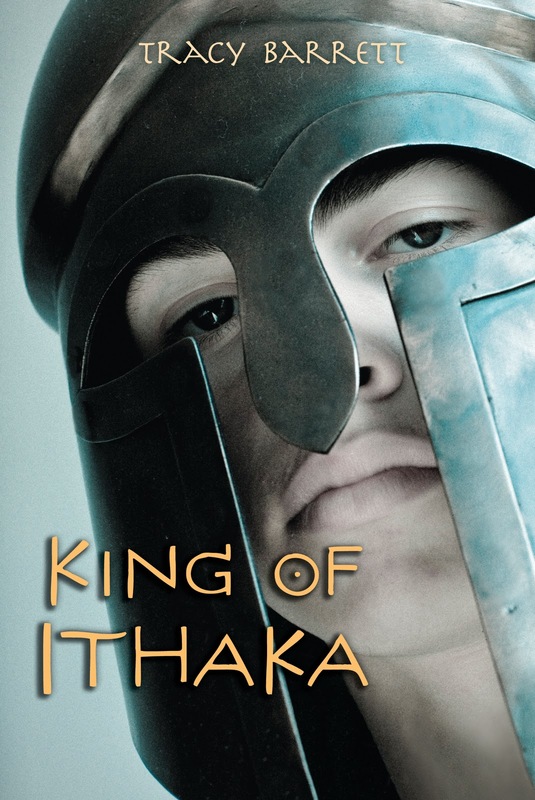 Really, his biggest challenge is to grow up, and even more, to grow in to the kind of king that the new world of the Iron Age will need--not a warlord, but a civic leader. Q: Yes, in that way, it reminded me of Malouf's Ransom, a powerful adult retelling of Priam appeal to Achilles for Hector's body. We witness, in both books, where one individual changes, in a profound manner, those ways that "have always been." I love the depth of that approach. Are you planning this as a series? A: I have no plans for another retelling from either of those books, mostly because they're pretty sparse in teenagers! Im intrigued by some characters--specifically Iphigena and Cassandra, both from The Iliad, but it's hard to think of a way to end their stories in any way but horrendous tragedy. While I don't need a 100% happy ending, I can't imagine writing a book where the main character meets a dreadful end. Q: When it comes to research, what do you find the most challenging? A: Daily life details. What did people eat? What games did they play? What did they sleep on? What did they do if they got a toothache? How did it feel to bear a child, knowing that there was a one-in-three chance that the baby would never see its first birthday? What superstitions did they have? How did they celebrate special days? These are simultaneously the most difficult and for me, the most interesting, facts to find. Q: What book(s) are you planning next? A: In the spring, the fourth book of the Sherlock Files (The Missing Heir) will come out, and then next fall, Harcourt will publish the Dark of the Moon--another retelling! This one is the myth of the Minotaur, told in alternating points of view by the Minotaur's sister, Ariadne and his killer, Theseus. The myth that we're all familiar with--the monstrous half-man, half-bull imprisoned in the labyrinth, killed by the heroic Athenian, etc.--really reflects Greek misunderstanding of the complex and fascinating Cretan religion. I try to reconstruct that religion, which was probably based on moon worship and involved a priest or a shaman who wore a ritual bull's head or costume, as the basis for the story. Wow, I can't wait to read that story. With Crete, the Minoans and their bull dancing/jumping rituals, it should be a fascinating read. Thank you Tracy! I'm a huge Margaret Atwood fan, too. Um, just sayin'. I know, Cathy--Tracy is a marvel. And a fellow writer who loves ancient stuff? A real soul-sistah! The Mid-south conference is well-run and a joy to attend, by the way. Come join us next year. Any chance of a German translation? I want to introduce my niece to Ancient Greece and Rome and I'm on the lookout for suitable books. The first (which I'm working on right now), A LAND UNCONQUERED, deals with the Varus battle and Germanicus' campaigns in Germany. Arminius - who more or less stole the book, sneaky German - plays a major role, but I have a fictive Roman MC as well. Other historical characters, like Varus, Germanicus, Tiberius, and Arminius father-in-law Segestes get some screen time as well, together with a cast of fictive characters. I've been traveling around and looking at places connected with the Romans in Germany those last months, and I've been reading through a whole bunch of new books and essays that came out thanks to last year's 2000 year anniversary of the Varus battle . The second book, TIDAL WAVES RISING, will feature the Batavian rebellion, and the third, EAGLE OF THE SEA, will move the story to Caledonia where Agricola tries to establish a Roman rule. The family feud between my fictive MC from ALU and another patrician Roman family, as well as their friendship with a Batavian family, will continue over the generations. A 4th book that brings the tale to the time of Hadrian could be added. I'm also playing - vaguely at the time because I have enough stuff in the To Write-folder - with an idea of a novel set at the time of Severus Alexander and Maximinus Thrax, triggered by the recent discovery of a battlefield related to Thrax' campaign in 236 AD at my backdoor (the Kalefeld/Harzhorn battlefield). Are you planning on publishing in German or English? Thanks for visiting and posting! Hi KC, thanks for commenting. I would love to come one of your conferences. Ya'll get awesome speakers and it sounds like a blast! Vicky, I'm writing in English. I can reach a larger audience that way, and I hope the name Arminius and the Varus battle will sell ALU to a non-German audience nevertheless. The third book would be a better way to introduce myself as writer of historical fiction to an English audience, but it works better as book 3 in the series, though the books can be read as standalones. I haven't read Turtledove. But people keep mentioning the book to me so I should check it out. Gabriele, your take on Arminius sounds fascinating. And, actually, I'm not sure I would recommend Turtledove's book--it might influence you negatively. In truth, I didn't think his characters were really well developed. I'm already more intrigued by your description than I was by his whole novel. Good luck with the writing! Tracy - you must be a greek deity! 17 books. yikes! Interesting to see that you find daily life details challenging. I struggle with that too. Great interview. Can't wait to get this book for my nephew.